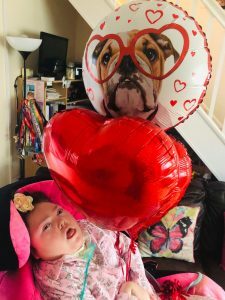 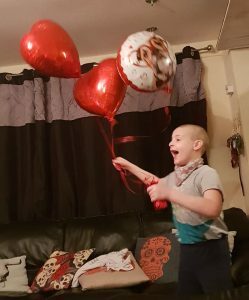 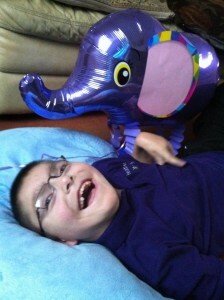 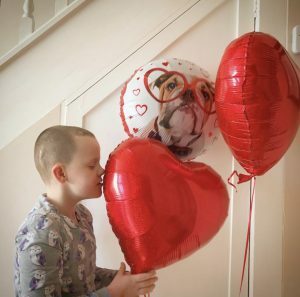 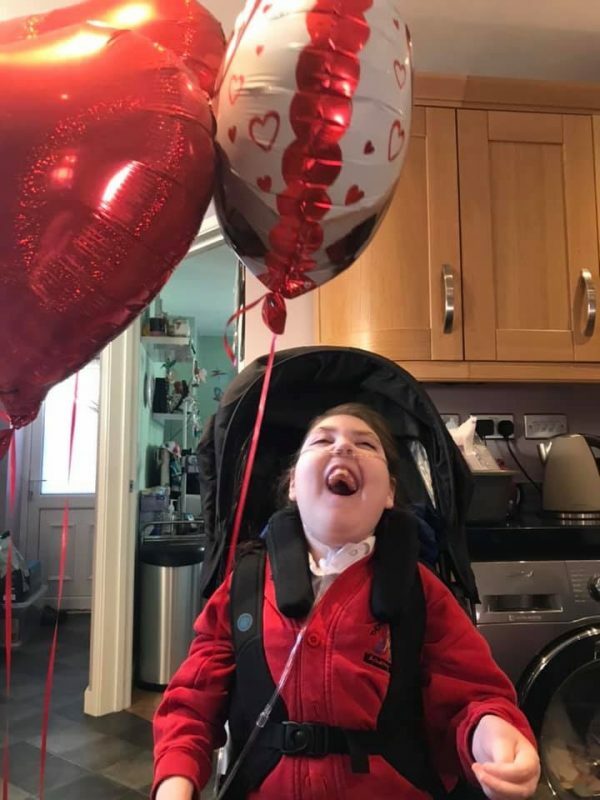 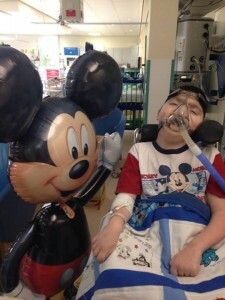 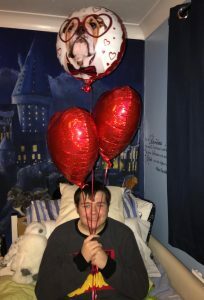 We decided to spread the love this valentines day by sending a fun valentines themed balloon bouquet to the Pals. 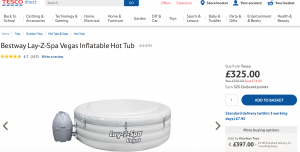 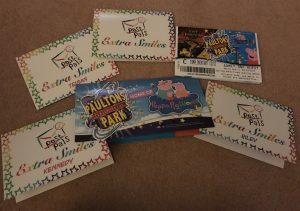 These cost £15 each and the joy was priceless. 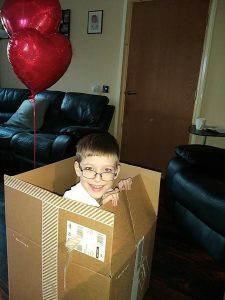 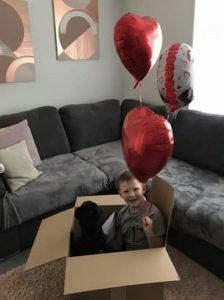 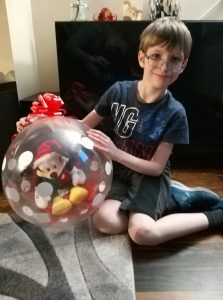 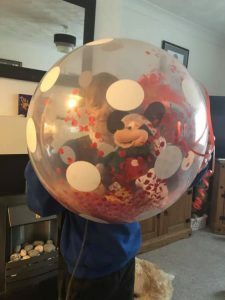 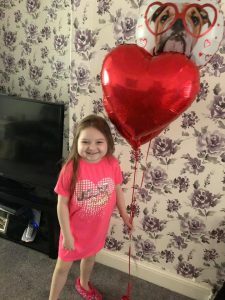 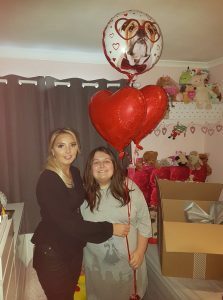 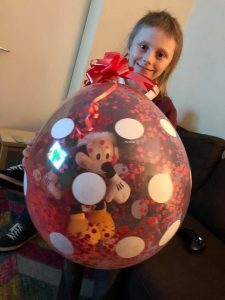 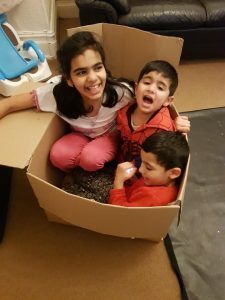 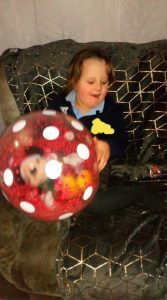 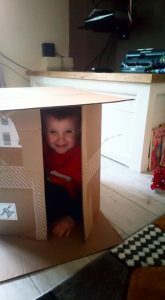 We know when we sent things like balloon bouquets in big boxes that the children will have so much fun with boxes and this time was no exception! 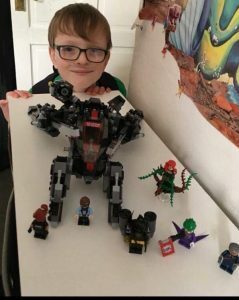 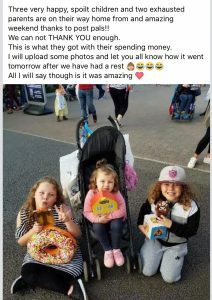 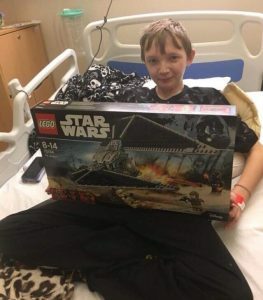 Through In Kind Direct Post Pals was able to purchase tens of thousands of pounds worth of Lego for around £3000. 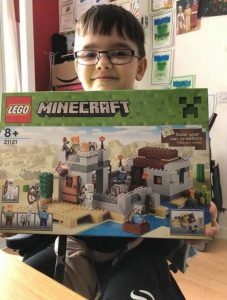 This was still a big chunk of our donations but we know how much all our Pals love Lego and that normally we can’t afford to send it. 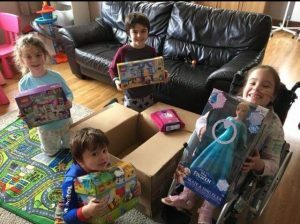 Post Pals HQ turned into a Legostore with Dawn and Steve unable to move in the living room or garage and becoming Lego experts, one would shout a kit number and the other would fetch it and package it for the child we had assigned it too! 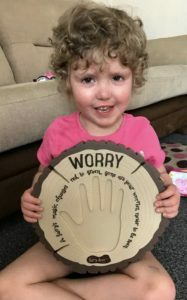 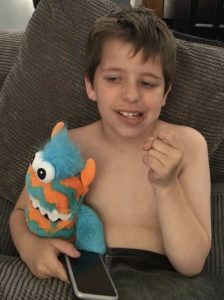 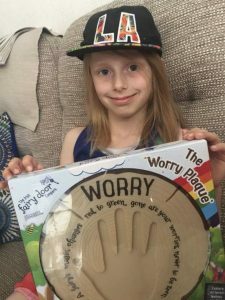 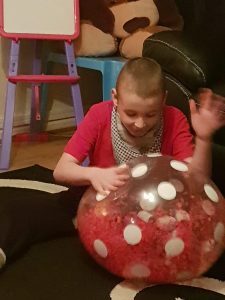 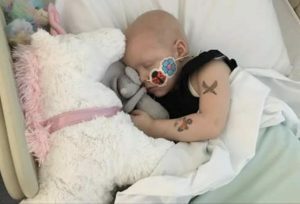 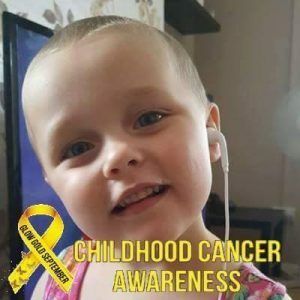 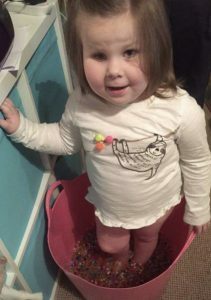 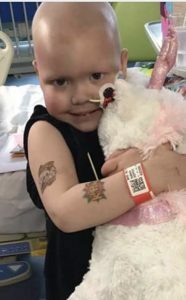 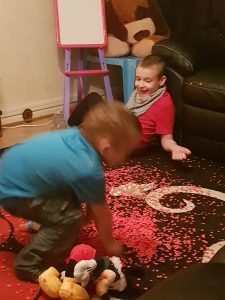 Kennedy has been fighting Leukaemia since November 2015. 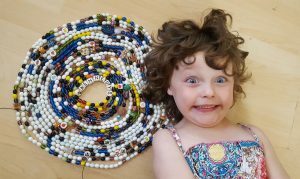 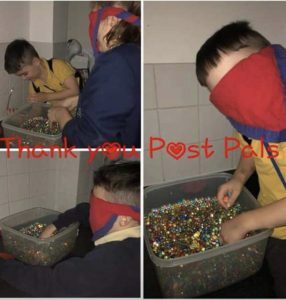 Since then she has had been through lots of treatment, below is a picture of her with her bravery beads. 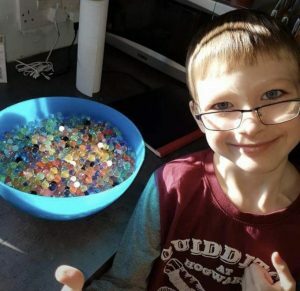 Every single bead is either a treatment (chemotherapy, surgery etc) or a procedure (lumber puncture, port access etc). 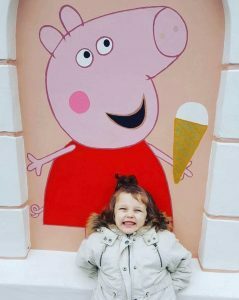 Kennedy loves Peppa Pig and would love to go to Peppa Pig World. 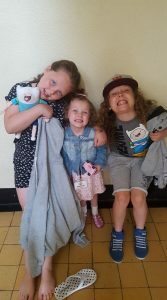 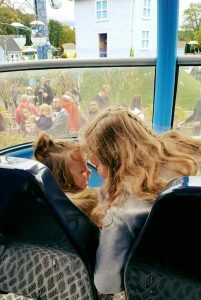 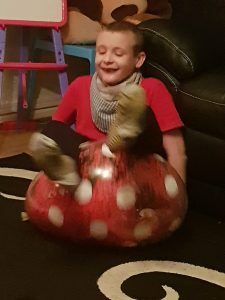 The whole family have had a difficult year and so we would like to send them for the weekend, to have some time away together and lots of fun.